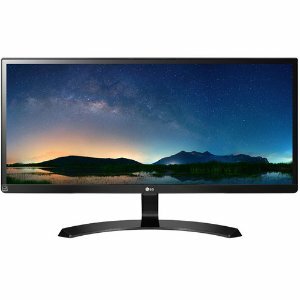 Buydig.com offers the LG 29UM59A 29" UltraWide Full HD IPS LED Monitor for $179.99 via coupon code SYNC . Features: The UltraWide 21:9 aspect ratio makes games and movies more immersive than ever. The clarity of 1080p pixel Full HD resolution with IPS is a game-changer. Simply put, from any viewing angle, everything looks more crisp and detailed in Full HD.